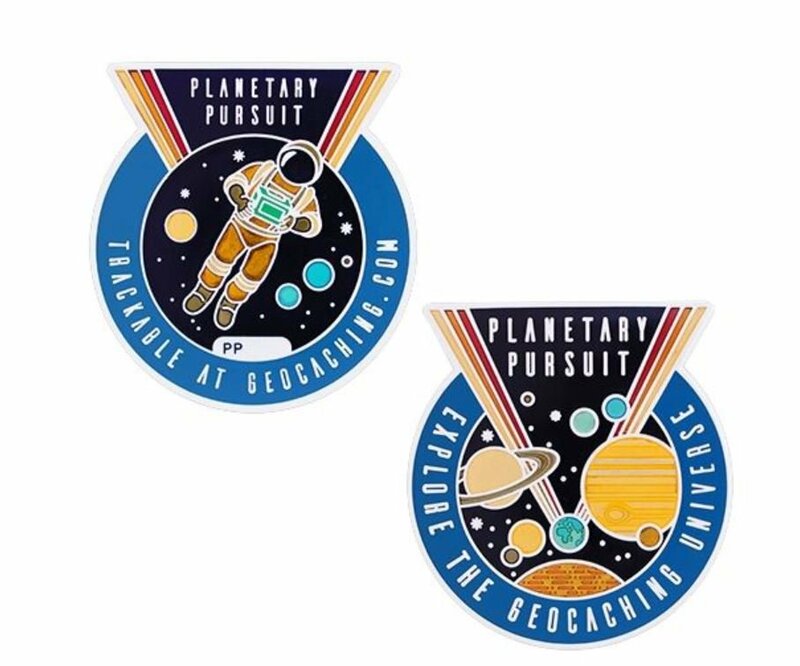 Want to make sure you can earn all 10 souvenirs available from Geocaching.com between March 19 and April 8? Well I'm here to help you on your stellar mission. #1 - Build Your Crew! First things first - if you're going shoot for the stars (or the souvenirs) you'll need to build your team. Remember the Mary Hyde events and activities from last year? Well it's the very same system for the Friend League support to get you ship-shape and on your way. Dashboard > View Friends > Get motivated with your friend league! Do you already have a great crew amassing huge points? Awesome! If not, just click the "Add Friends" green button and send some friend requests to your geocaching buddies. For more tips on great Geocaching Friends etiquette, check this post from last summer! #2 - Know the Score! Next important thing to know is HOW to get those valuable points! This simple table from Geocaching.com explains what you most need to know. #3 - Start the Countdown! T minus 19... 18... OK, you get it. Take a look at your calendar, and message some of your friend league - see if you can't pick a time to get out caching together between March 19 and April 8. You can send messages individually on the My Friends page using the "Send Message" link on each friend's "card" on the page. But it might be even easier, if you are already all on Facebook or Twitter, to start a group chat for planning purposes. #4 - Find Unexplored Space with Your Crew! You've got the team, you've got the dates, but where to go? Make sure the adventure gets max points for everyone by using the Geocaching.com Search page. Enter an area to start your search from and you'll get the initial list. But now click on the Filters green button, and make sure to click the radio buttons for "I Haven't Found" and "I Don't Own." That done, next thing to do is enter in the names of your space crew in the "Not Found By" box. Now click the Search button again and you'll see the caches that will maximize your teams points! #5 - Earn Nine for Ten! So you know how to get points, but what are your targets? Why the planets of course! OK, the souvenirs named after planets! And to help you out here's the next great table Geocaching.com provided so we can all know the score(ing system). Official Space Explorer Collect all planet souvenirs (500 points) and earn this meta souvenir. Note that as like other souvenir events in the past, the tenth souvenir is "automatically" earned by achieving the prior 9. Pay attention that these are individual points in Friend League, so you'll have to earn those points yourself to get the souvenirs, not total points in your League. *full disclosure - my name isn't Buck Rogers, but these are still great tips! Most importantly - get out there and cache safely, and cache often! Follow the LANMonkey's Geocaching Adventures every week by following us on Instagram and Twitter, Facebook, and of course, our YouTube channel where we're always adding new fun videos. Every Thursday night at 9pm Pacific you can watch LANMonkey and his co-hosts live on the Caching in the Northwest Geocaching podcast - don't miss any podcasting fun by subscribing to the CachingNW podcast! So, what's the point of having a Friend League, if all the points have to be individually earned? As a wise(r than I) man once said, "I don't make the rules, I just report them." I am not sure about this, but I think that they might not reset the Friend league points each week and let it accumulate for the entire three weeks. Even if that is not true, it will still be a place to see how many points you have accumulated each week (based on your activity) and you can easily add the three weeks to see where you are at rather than trying to compute it yourself. I can see the outer planets are going to be quite tough. I guess I have to drum up some enthusiasm for geocaching again. Getting the souvenirs is great, but getting outside and hopefully geocaching with friends is even better. Have a great week, Doug! Solve some puzzles in advance and it shouldn't be hard. 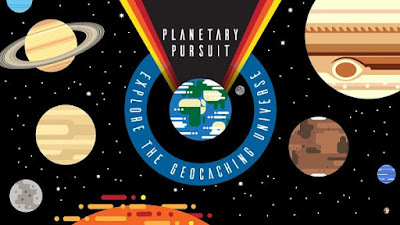 34 total mystery and earthcaches and you'll complete all the goals. My understanding is that the scoring is individual and that they use the friend league page because that's where they have the ability to keep and display scores. My question is, does it matter when, within the promotion's time frame, you earn the points? Or is it just a matter of how many points you can get during the promotion? Your understanding of why Friend League is in use is correct. 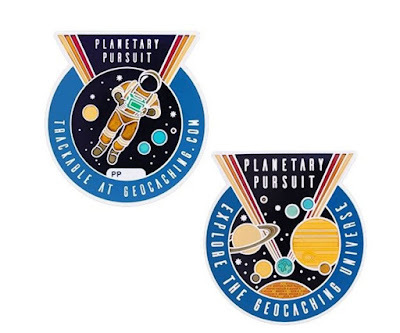 I believe as long as you earn the total number of points within the promotion time frame you will get the souvenirs, but I can't speak on behalf of Geocaching.com. I'll ask that question for you through the official channels. Thanks for reading my blog and asking a great question! Dropping trackables means leaving them. Visiting doesn't count. (I know for sure because I didn't get any points for the 34 visits at the caches I found on Friday).